Content marketing goes through numerous changes, but the biggest shifts occur when technology changes too. 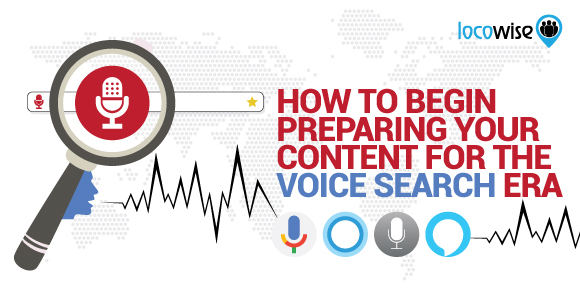 Think about voice search (which is going from strength to strength) and you’ll understand that these major shifts are exciting and obviously pointing the way forward. What brands (and your clients) probably aren’t completely aware of is the potential of tools and platforms like Alexa. In an interesting (or weird, depends on how you look at it) way, Alexa is showing us two things. Firstly, it’s showing us a brand new platform for content marketing, pure and simple. Secondly, it’s presenting a vision of the future, where even the objects in our homes can deliver high quality content. Brands can now enable Alexa skills that allow users to access information, and carry out tasks, using their voice. When paired up with smart home technology (such as a smart security system), users can put into place a set of routines that are controlled by Alexa. For example, the user can say ‘Alexa’ and then ask it to talk to other devices. That device could be the home security system or it could be the lighting. A number of routines can be in place. The key area for content marketing purposes is the question and answer dynamic. Here, users (like they would with SIRI) ask a question and Alexa provides an answer. So weather reports can be brought up by Alexa. So can the news. It’s when brands tap into the ability to find answers to questions they have some expertise in that Alexa really shows how content marketing can be a real possibility. In essence, it’s like searching using Google, or it should be, as Alexa and brands (or content providers) grow together. There’s a great example of how brands can use Alexa to amplify their voice and also provide content through the Ask Stubb skill. Stubb’s is a brand that creates barbecue sauce and it’s also a long-established brand in the USA. When users ask Alexa to ‘ask Stubb’ they receive a perfect piece of content marketing that really transforms the usage. Here’s a short video that explains how it all works. 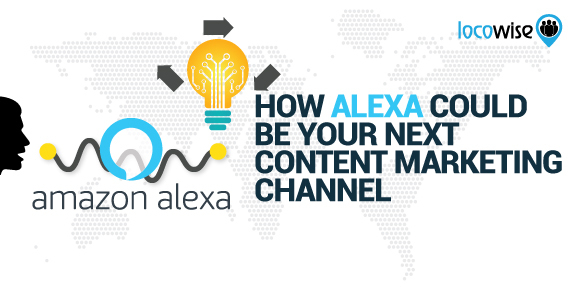 We like this particular Alexa skill because it most closely mirrors the content marketing concept. Ask for advice and help and you get it from the expert, in other words. What’s really good about it though is the inclusion of Stubb’s voice. At first it feels a little gimmicky but then you realise that this is the authority users want. Putting Alexa and a brand together like this nearly hits the spot. As part of the first tentative steps the concept is taking, it provides the essence of content marketing (authority on demand) while also adding extra consumer trust by authenticating it with Stubb’s voice. Of course it’s completely artificial and it depends on artificial constructs, but it works because it helps the users, and also reassures too. Purina makes pet food, among a lot of other things, but they’re also a brand that has jumped on Alexa quickly. Pulling together a set of tips and pieces of insightful content around dogs and breeds of dogs in general, the Ask Purina skill is again close to what content marketing is all about. Stubb + Alexa Preview from Proof Advertising on Vimeo. The basic concept is an extension of a site, basically, or a section of a site. Users ask Purina about dog breeds and the best breed for their lifestyle. For example, an apartment owner may ask which breed is best suited to the smaller living space. And a family may ask which breed is best with children. Ask Purina comes back with the answers. It’s not perfect, in that it doesn’t do much more than a web page can do, but it does illustrate the future role of content. By choosing to have a skill based around its expertise (like Stubbs), Purina is showing how the future could look. So where are we headed? Are we looking at multiple devices being controlled by Alexa? Yes, that’s on the cards, and has been for some time. But the really exciting part is the possibility of asking devices for specific content that will help a user, and that’s where brands find the gap that needs filling. It’s all new, but we can bet that every brand, as technology becomes even more orientated towards voice technology, will find itself having to work with that new technology. If your clients aren’t ready, you may want to start preparing now. Are your clients getting all the details they need from you? If you’d like to be able to provide clients with social media metrics that are more than just flashy, try Locowise free for seven days. It’s on us. Enjoy.